I can still see Ole Vitus’ smile when he showed me a list of awards for his products during this year’s HighEnd Munich show including Best Product 2011 from us. His list was long and varied and included models from the ‘basic’ Reference series as well as the more expensive Signature line. I did not see any for the currently most expensive Masterpiece series however and an even more refined Design Studio Series has already been announced. "Why?" I asked him. "We are simply cautious sending these products out for review. They are unique, very expensive and need a reviewer with exceptional experience to describe them properly." Hmm. It seems I already had made my name because shortly afterwards, a representative of the Polish distributor for Vitus Audio knocked on my door lugging with him a heavy package. 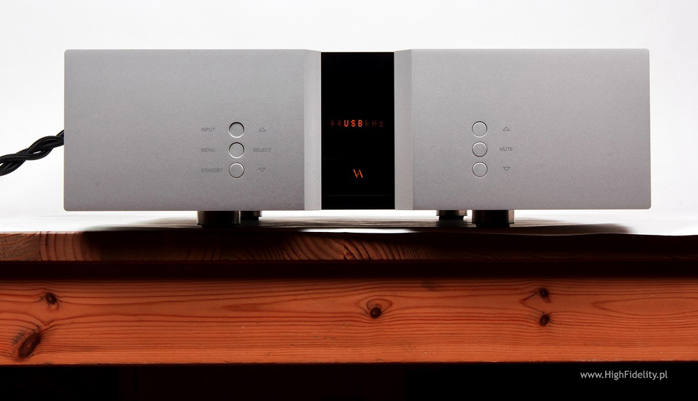 Externally it looks like their preamplifiers but is the only standalone DAC in the catalogue. 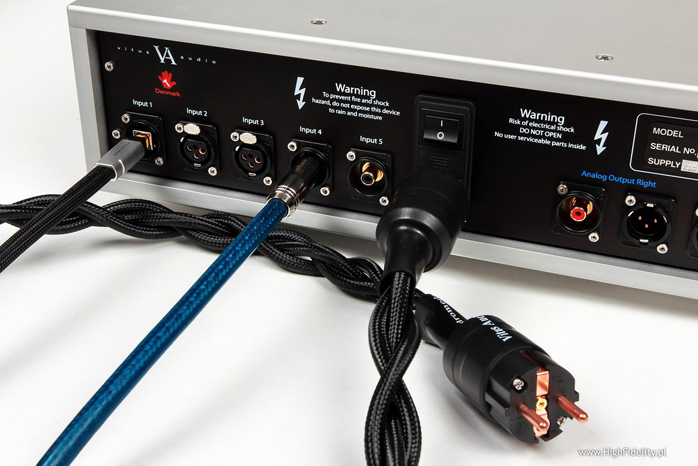 The Vitus Reference and Signature series DACs integrate into their CD players. Overall the MP-D201’s enclosure is a very solid affair with a clean unobtrusive design. 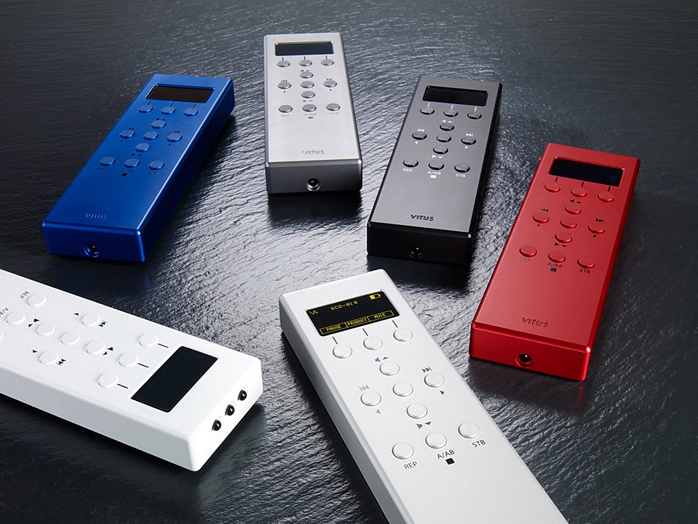 All inputs including USB accept signal up to 24 bits and 192kHz. Right after the inputs however the advanced Edel 2 upsampler developed in collaboration with Anagram Technologies from Switzerland and used also by Soulution upsamples to 24bit/384 kHz. That is, Soulution’s version does. Ole Vitus’ DAC sports the latest version which upsamples all incoming signal automatically to 24bit/792kHz. 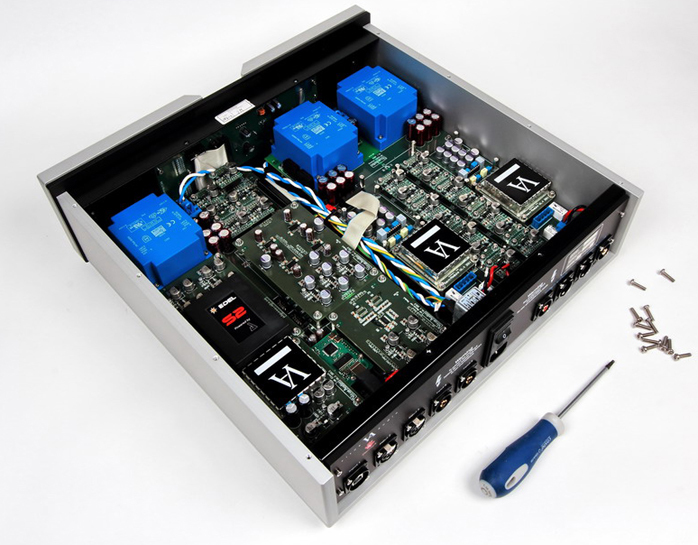 This converter can be fitted with the analog attenuator system used in Vitus preamplifiers to turn the MP-D201 into a DAC/preamp. This attenuator is based on discrete resistors switched by relays such that the same resistor always couples in series with the circuit (hence the relays are outside the signal path) and the relays actually switch other resistors connected in parallel. The standard DAC comes without that module but in a pinch you could use its digital volume control which is embedded in the upsampler. Soulution uses that facility but I would rather treat it as very fine trim than basic volume control since it introduces changes in the digital realm. 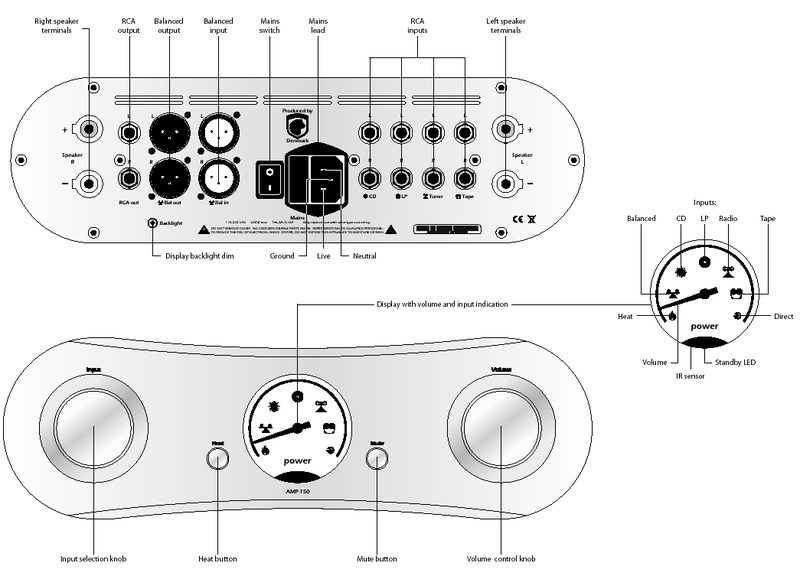 Optional also is the RC-010 remote. It’s a beautiful metal unit with display which can control non-Vitus machines if those run Philips RC-5 code. 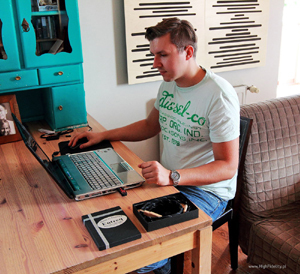 During my last holiday Andrew from our Krakow Sonic Society upgraded and generally pimped out my HP Pavilion dv7 Entertainment (Core 2 Duo) laptop which is how I type all my reviews and also evaluate USB D/A converters. Taking advantage of the fact that this particular laptop is designed as an entertainment center with two hard-drive bays, we equipped it with an additional 128GB SSD as start-up disk on which we installed Windows 8 RP 64-bit and increased RAM to 8GB. Other programs too were moved to this start-up drive. Apart from obvious benefits like launching the computer under ten seconds, it opened up full use of the 64-bit JPLAY version which has become my main player with foobar2000 as option and as the GUI to upgrade the sparse graphical interface of JPLAY. ...Jean Michel Jarré, Magnetic Fields, Dreyfus Disques/Epic/Sony Music, 488138 2, CD (1981/1997); Jeff Buckley, The Grace+EPs, Sony Music Entertainment [Japan], SICP 2245-7, 3 x CD (2004, 2002/2009); Johann Sebastian Bach, Bach. Toccata and Fugue, Leopold Stokowski & His Symphony Orchestra, EMI Classic, Best 100 Premium, TOCE-91077, HQCD (1960/2010); Johann Sebastian Bach, Cello Suites, Richard Tunnicliffe, Linn Records, CKD 396, SACD/CD (2012); John Coltrane, One Down, One Up. Live at The Half Note, Impulse!, 9862143, 2 x CD (2005); Johnny Hartman, All of Me - the Debonair Mr. Hartman Bethlehem/Victor Entertainment, VICJ-61460 K2HD CD (1956/2007); Komeda Quintet, Astigmatic, Polish Jazz Vol. 5, Polskie Nagrania Muza/Polskie Nagrania, PNCD 905, CD (1966/2004); Kraftwerk, Minimum-Maximum, Kling-Klang Produkt/EMI, 3349962, 2 x SACD/CD (2005); Ludwig van Beethoven, Overtures, Sir Colin Davis, Symphonieorchester des Bayerischen Rundfunks, Sony Music Direct (Japan) TDGD-90013, Esoteric 20th Anniversary, SACD/CD (1986/2007); Me Myself And I, Takadum! Met Remixes, Creative Music, 001, 2 x CD (2012); Nat "King" Cole, Love is the Thing, Capitol/Analogue Productions, CAPP 824 SA, SACD/CD (1957/2010); The Modern Jazz Quartet, Pyramid, Atlantic/Warner Music Japan, WPCR-25125, Atlantic Records 60th Anniversary, CD (1960/2006).